The Aria Desk is made with solid, white wash treated mango wood. Two drawers provide generous storage, as do the desk’s four shelves. Iron framework supports the desk and provides sharp contrast to the grain of the mango wood. 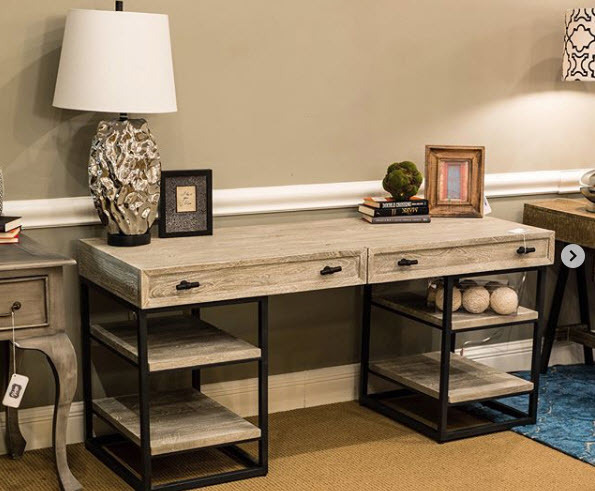 Solid wood and clean lines make this rustic modern desk an inspired choice for any work space.